This book is about a revolution—a revolution of the heart. The books are also sold by Amazon in other countries. You don’t need a Kindle device to read the ebook. It can be read on any smartphone, tablet, PC, or Mac with this free app. This paradigm shift—this revolution of the heart—starts with our own veganism, not as some sort of “flexitarian lifestyle” issue, but as a basic, fundamental, and non-negotiable commitment to justice and fairness for nonhuman animals. Veganism, as a moral imperative, recognizes that we have no moral justification for using animals—however “humanely”—for our purposes. It continues with our daily efforts to educate others in creative, positive, and nonviolent ways about veganism—something that each of us can do if we want to. Every day, we have opportunities to educate family, friends, colleagues at work, and people whom we encounter in a store or on a bus. Is it easier to write a check to someone else than do the work ourselves? Of course it is. But it won’t work because the large advocacy organizations are not seeking to end animal exploitation; they are, by promoting the idea of “compassionate” animal use, seeking instead to make the public feel more comfortable about continuing to exploit animals. I. 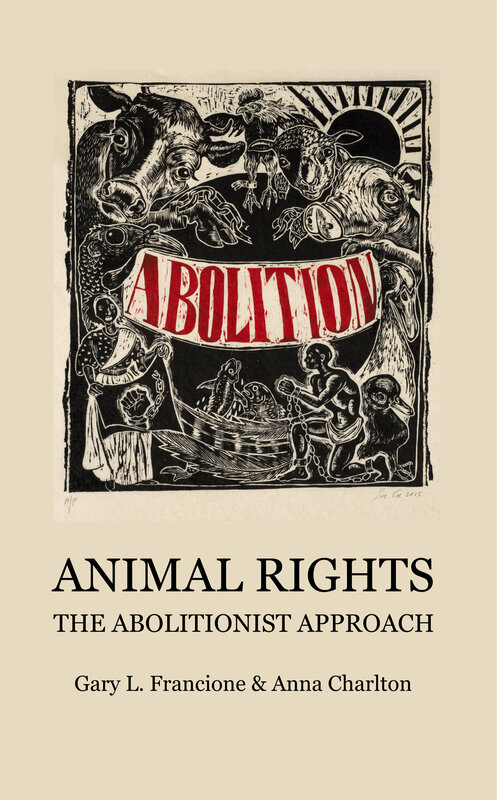 Principle One: Abolitionists maintain that all sentient beings, human or nonhuman, have one right—the basic right not to be treated as the property of others. V. Principle Five: Abolitionists reject all forms of human discrimination, including racism, sexism, heterosexism, ageism, ableism, and classism—just as they reject speciesism.